Do you currently have a Federal Pacific (FPE) electrical panel? If so, these panels need to be changed immediately because they have been known to cause electrical fires. Do you currently have a Federal Pacific (FPE) electrical panel? If so, these panels need to be changed immediately because they have been known to cause electrical fires. Most insurance companies, real estate agents, and building departments are aware of the problem. 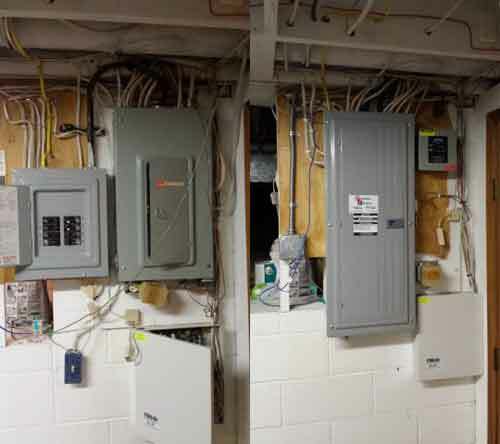 If your home's current electrical panel does not have the space or the capacity to meet your needs, you may need a panel change or a sub-panel added. If you have an older panel, there could be a hidden problem behind the cover. There could be a loose lug, oxidation, or wires that are getting hot. 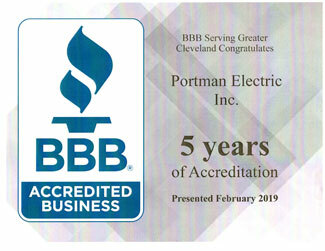 Portman Electric can provide an inspection of your panel if it has not been checked within the past 10 years serving Cleveland and Northeast Ohio.